In recounting the history of the Cajuns from their Canadian beginnings through their migration south to Louisiana, Theriot conveys the spirit and resolve of a proud community. To know this spirit is to know what drives them to cook with such passion. From boiled crawfish, crabmeat au gratin, and shrimp gumbo to chicken étouffée, Chef Theriot has distilled the essence of Cajun cooking with his signature easy-to-follow, hearty recipes. In the South, desserts are symbolic of hospitality, and no special occasion can be had without the appropriate dose of sugar. Pies, puddings, candy, ice cream, and cakes are anticipated and expected at every event. Ensuring that each mouthful of sugared bliss will be remembered is a welcomed challenge for every hostess. Introducing the best of Louisiana cookery from restaurateur and French-trained chef Roy F. Guste, Jr. In The 100 Greatest New Orleans Creole Recipes, Guste presents a selection of choice recipes ranging from “Haute Creole” entrées like daube glacée to hearty red beans and rice. For generations, these dishes have graced the tables of famous dining establishments and family kitchen tables alike, proving that they have universal appeal and popularity. Paperback. In this delightful cookbook, Natalie V. Scott has compiled savory recipes which have filled New Orleans kitchens with delicious aromas for more than 200 years. Paperback. The holidays in Louisiana feature a stunning array of festivities and events. Good food, music, and camaraderie abound. This volume takes readers on a statewide tour of les fêtes de Noël and provides recipes and activities for the whole family. From the lighting of the bonfire at Oak Alley Plantation to Natchitoches’s Festival of Lights, experience the living culture that the Pelican State has to offer. Anne Butler has cooked up a delicious and delightful book once again! Far from ordinary, the Acadian Plantation Country Cookbook transports readers to the hauntingly beautiful plantations of the Atchafalaya Basin in southern Louisiana. With recipes like Catahoula crab cakes and stories about the rich heritage and culture of the Acadians, this book gives readers a historical, pictorial, and tastebud-tingling tour of Acadiana. This second cookbook from Leah Chase—now in paperback—contains reflections on life, business, family, and friends, with the recipes that bring them all together. There are special menus from organizations that have gathered at the Dooky Chase Restaurant in New Orleans for years, “off the menu” specials prepared for customers with special needs or a craving for something different, and a number of classic Creole and gourmet recipes, with every recipe guaranteed to warm the heart and nourish the soul. Paperback. Each of the famous recipes in Arnaud's Restaurant Cookbook has been carefully adapted for use in the home kitchen, including Arnaud’s Oyster Soup, Trout Meuniere, Oysters Arnaud and Bienville, as well as the restaurant's spectacular dishes for special occasions from weddings to Mardi Gras. Evocative photographs capture diners basking in the joy of Arnaud meals. Brazil is known for its bold flavors, ripe fruits and vegetables, and fresh fish, meats, and herbs, as well as for its thriving culture and beautiful landscape. From the stalls of the São Paulo feiras (street markets) to the kitchen table, this delectable cookbook gives readers a taste of the regional foods of Brazil—where African, Portuguese, and Indian cooking come together—and of the contemporary dishes of São Paulo. One of the few Brazilian cookbooks written by an American-born author, this compilation features authentic Brazilian cuisine adapted for the American palate. Polish gourmet traditions are as old as Polish culture, which has written history over a thousand years. And here is the definitive Polish cookbook, The Art of Polish Cooking, containing 500 authentic recipes which reflect the proud traditions of this ancient country. 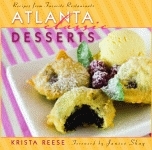 This cookbook is complete with recipes for hors d'oeuvres, soups, entrees, vegetables, pastries, desserts, and beverages. Special holiday menus are also presented, along with charming descriptions of traditional Polish feasts and celebrations. For thousands of years, Romania, the easternmost outpost of the Roman Empire, was traversed by a number of tribes in search of riches or land to claim. In much the same way that these people’s language became absorbed, they left behind many traces of their own ways of preparing food for a lasting influence on Romanian cooking. This cookbook provides a solid introduction to a fascinating cuisine that blends Turkish, Hungarian, Greek, Slavic, and French influences into a cooking style that is at once earthy, complex, and satisfying, but is also easy to prepare. Hardcover. For thousands of years, Romania, the easternmost outpost of the Roman Empire, was traversed by a number of tribes in search of riches or land to claim. In much the same way that these people’s language became absorbed, they left behind many traces of their own ways of preparing food for a lasting influence on Romanian cooking. This cookbook provides a solid introduction to a fascinating cuisine that blends Turkish, Hungarian, Greek, Slavic, and French influences into a cooking style that is at once earthy, complex, and satisfying, but is also easy to prepare. Scottish-American author and lecturer Kay Shaw Nelson has combined her ancestral pride with her experience of international travel and love of gastronomy to create The Art of Scottish-American Cooking, an homage to the four hundred years of Scottish food and drink in the United States and Canada. 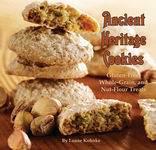 The cookbook includes more than two hundred recipes as well as a wealth of information about Scottish holidays, heroes, traditions, and notable culinary and other cultural achievements by Scottish-Americans. While Atlanta may be a city of change and transformation—its symbol is, after all, a phoenix—it also has an impressive legacy of unforgettable food. Southern cuisine with a twist, Atlanta’s culinary offerings mirror the city itself: sophisticated and diverse, flexible but distinctive. Audubon Plantation Country Cookbook is a collection of heirloom recipes, family legends, historical facts, vintage photographs, and humorous anecdotes from this area that is as rich in cuisine as it is in history.